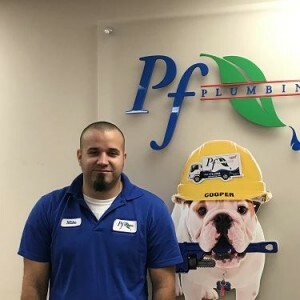 * Total number of reviews and star-ratings are based on data collected during the time period PF Plumbing Contractors, Inc. has been using the ReviewBuzz system and may not directly match the data found on each public review site. We have been using your service for a few years now and we have always been pleased with all the work done and the professional manner of your contracts. Expert, professional, competent, quick service. Andrew and Harold experts - Paul and Teresa the best. Andrew and Harold : Expert service technicians provided excellent, efficient, professional hot water heater replacement. Happy with service and with Paul and Teresa. Great people - Excellent Organization. Andrew and Harold : Expert service men replaced water heater. Very good, professional, thorough installation. Pleased with service also Paul and Teresa are the best. Professional and knowledgeable. Answered any questions I had and explained what I didn't understand. I would recommend them to anyone. Andrew and Melanie came to my house to install and repair. Two very personable and knowledgeable people who have obviously received good training. Such a pleasure to deal with truly professional “5-star plus” employees. When I called to make the appointment I was met with a warm greeting and she worked me in to the best spot available. I also called three times after to make several more request, however it was met with understanding and patience. Thoughout the process of the plumbers coming to my house, I was contacted via text or phone call of the tentative time they would be out to the house. Overall, I have been very pleased with the service I receive from them, not just from the outcome of the work they do, but from the first point of contact. Great employees, very knowledgeable. For smaller jobs the pricing is pretty expensive, however they do offer warranties on their work and they do a good job. Better pricing for larger jobs. I have lived in W-S for over 25 years and have had the opportunity to use many service providers in that time. 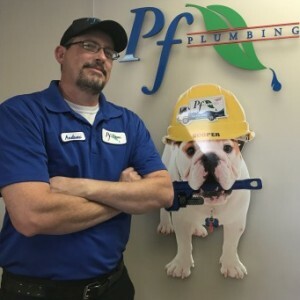 I can say without a doubt, Pf Plumbing was the most professional, courteous and customer friendly business I have ever dealt with! They provided me with a written estimate upfront and then stuck to that for the whole job. I will use them for all my plumbing needs and have already recommended them to several friends and neighbors. Matt and Ryan were fantastic!!! My son thought it was a great idea to flush a wooden toy train down the toilet. I was quoted some different prices that at the worst end of it could of been heartbreaking for me to have to pay. However, Matt and Ryan were able to figure out the best solution and the best cost effective one as well! They continued to figure out different solutions for me in order to keep the cost in my favor. Not too many companies would continue to try to find a solution after several minutes. Also, they both were very personable and trusting. I had them come to the house to start the work before I got there with not issues. Overall, I probably had the best experience starting with the scheduling staff to the plumbers that you could possible get from people other than your family. I always have a great experience with this company! Great service. From the prompt arrival time update, professional installers, office personnel who provided scheduling options, and fast, efficient installation, it was a refreshing experience. 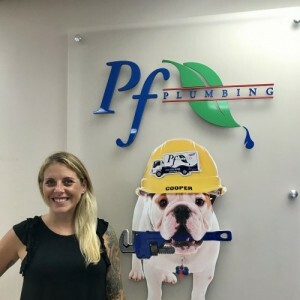 Highly recommend PF Plumbing. Andrew and Harold came out today to install a WaterCop monitor on our attic water heater and replace our expansion tank. They both were very professional, informative, and friendly. They explained what they were going to do, followed up with a review of what they were going to do, and cleaned up afterward. Andrew also spoke to our neighbor about having similar work done for them. Both are excellent representatives of your company. Not enough words to describe how awesome Matt & Zach were when they were sent to assist with my water heater issues. Matt quickly and professionally identified the main problem and detailed multiple options for a resolution. They also performed an inspection of my kitchen and bath plumbing for any other repairs they could provide which were included in the price of the various options. After detailed explanations and going over the pros / cons of each, I opted to go with a service contract and water heater replacement. Matt & Zach returned the next day and efficiently replaced my old power vent gas heater with a new tankless which takes up a lot less space and is much easier for me to monitor. Matt explained the process throughout and answered any questions I had about the new system. While he was working on the water heater Zach carried out repairs to the kitchen and bath plumbing which had been identified the previous day. Their supervisor, Larry, even dropped by to see how things were progressing and if he could be of any further assistance. Throughout the entire process, from calling to schedule an appointment, having someone sent out the very same day and my issues resolved by end of the following day, everyone was courteous, professional, extremely knowledgeable and very personable. It was a pleasure to become acquainted with this company and it's personnel. I am relieved to know that should I have any future plumbing concerns that they will be there to help. 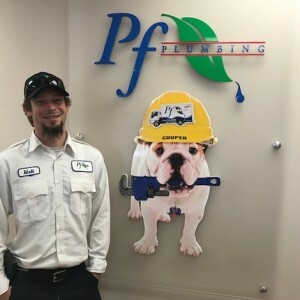 I highly recommend PF Plumbing to anyone with any type of plumbing issue. This review is for P.F. Plumbing. The service pros that came out the second day was Mike and Ryan. I had someone come out the day before because when I wash clothes my pipes in the crawl space was making loud sounds like they were hitting each other. The day before Jarrett could not find anything wrong in the crawl space that should be causing that noise. I had to call back because the noise was getting louder and lasting longer. Jarrett did find the thermal expansion tank was broken or not working correctly. He replaced that but the noise continues. I called back the 2nd day and they sent 2 guys to my house and they were there for 2 hours longer. The guys could not find anything wrong. The noise is worse and gets louder and longer. I just wish someone could find out what is causing the problem, so it can be fixed. But the guys all have tried hard to find the problem but without any luck. they were very professional and nice. Jarrett was very pleasant and figured the problem out right off. Even if it wasn't the problem, what he fixed had to be fixed anyway. After he left the sound started back. He is coming back tomorrow to try again to stop the loud noise in crawl space when washer is being used. 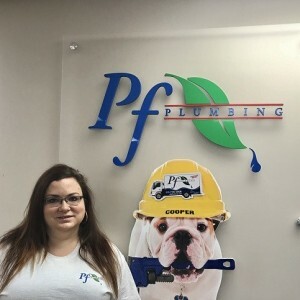 PF Plumbing Contractors, Inc. . 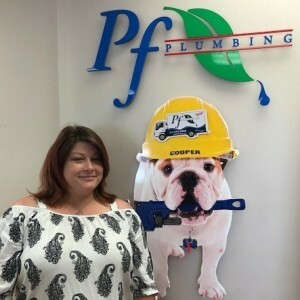 Customer service is always a top priority at PF Plumbing Contractors, Inc.. Our BBB Membership A+ rating is like a badge of honor as we continuously strive to provide the best experience for our clients.